As dreadful as may sound, computer viruses can be a nightmare that might cause extensive damage to your innocent machine. It can significantly disrupt your system’s performance and has the potential to wipe out everything on your hard disk. Like cancer, pneumonia and other deadly diseases are to humans, computer viruses are to computers. It is designed to persistently replicate itself and corrupt your smart little baby making it sick and helpless. I don’t think today, there is anybody, who can afford to loose the secrets they tell to their dearest reliable friend or can endure to let some virus affect the system that is so close to them. Those who have gone through a virus attack on their computers knows too well what this fuss is all about and those who haven’t should know about some of the most dangerous computer viruses and the destruction they caused. Nimda first surfaced in 2001 and hastily rosed to the top. The name of the virus is derived from the word “Admin” spelled backwards. It just took 22 minutes for this dangerous virus to propagate via four different ways – e-mail, server vulnerabilities, shared folders and file transfer. The worm was released on September 18, 2001, a week after the 9/11 attacks which forced many people to believe that Nimda is a Cyber Terror attack as it quickly captured almost all the sources via which the virus can infect maximum number of computers. Albeit, the primary purpose of this virus was to slow down the internet traffic considerably causing a denial-in-service attack. In 2009, a new computer worm Conficker also known as Downup, Domnadup and Kido crawled its way into as many as fifteen million Microsoft Windows operating systems around the world without human intervention using a patched Windows flaw. Conficker virus is very difficult to detect without running an upgraded version of original anti-virus and malware scanner. It might spread via removable drives like hard disks, smart phones and other thumb drives adding a corrupt file to it so that when the device is attached to another computer, the AutoPlay dialog box display an additional option. Conficker has assembled an army of zombies which has the potential to steal financial data and other important information from your system. The dreaded Storm Worm struck the cyber world as a malicious Trojan horse program in late 2006 when users began receiving e-mails with a subject line “230 dead as storm batters Europe.” It was without a doubt one of the most sophisticated and greatest cyber fraud networks ever constructed. It tricked the victims into clicking the fake links in an e-mail that was infected by the virus which could easily turn any Windows PC into a botnet, letting someone offsite operate it remotely for sending spam mails across the internet. 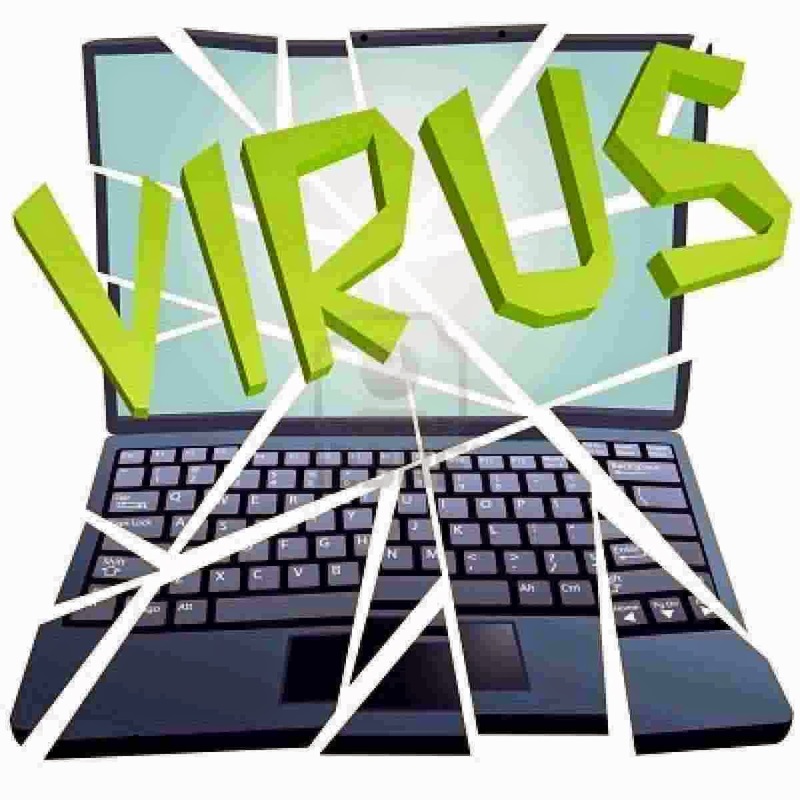 In January 2007, it was estimated that out of all global malware infections, 8% is due to the Storm worm as the number of this dangerous malware infected PCs was close to 10 million. A destructive parasitic virus CIH also known as “Chernobyl” was first emerged in the year 1998 in Taiwan and quickly became one of the most dangerous and destructive viruses to ever hit with a payload that corrupts data. The CIH virus infects Windows 95 and 98 executable file and after doing that it remains a resident in the machine’s memory, where it infects other executables. Once activated, the virus annihilates the data on the hard disk and overwrites the computer’s Flash BIOS chip, rendering it completely inoperable and unless the chip is reprogrammed the user will not be able to boot the machine at all. Although with increased awareness and advancement in technology the virus does not pose a serious threat today but we can never forget the $250 million worth of destruction it caused. SQL Slammer, a standalone malicious program also known as “Sapphire” appeared at the starting of the year 2003 and was the first fileless worm which rapidly infected more than 75000 vulnerable hosts within10 minutes on 25th January. Through a classic denial of service attack, it dramatically slowed down global internet traffic and brought down South Korea’s online capacity on knees for 12 hours. Sapphire mainly targeted on the servers by generating random IP addresses and discharging the worm to those IP addresses. The abrupt release of infected network packets had a huge impact on the significant services provided by Bank of America’s ATMs, Seattle’s 911 emergency response systems and Continental airlines. All in all, the worm caused between $950 million and $1.2 billion in lost productivity which is not much compared to what would have happened if it erupted on a week day and not on a Saturday. In the summer 2001, a computer worm most commonly referred to as “Code Red” was unleashed on the network servers on July 13. It was a very sneaky virus which took advantage of a flaw in Microsoft Internet Information Server. This virus was for the first time detected by two of the eEye Digital Security employees and at the time when they found out about the virus, they were drinking Code Red Mountain Dew; hence the name “Code Red.” The interesting thing about this deadly virus is, it did not require you to open an e-mail attachment or run a file; it simply needed an active internet connection with which it defaces the webpage you open and display a text string “Hacked by Chinese!” In less than a week “Code Red” brought down more than 400,000 servers including the White House web server. It’s estimated that the total damage was of approximately $2.6 billion dollars with as many as one million computers hit by the virus. August 2003 turned out to be the miserable month for corporate and domestic computer operators around the world as the sixth and most destructive deviant of Sobig series hit the internet. Sobig F infected host computers by fooling the users that the corrupt e-mail they received is from a legitimate source. If the user opens the attachment it exposes a security hole in the system allowing the intruder to send messages via the trapped user’s e-mail address. Within 24 hours, Sobig F set a record of replicating more than one million copies of itself which later was broken by yet another mass mailer worm – My Doom. However, Sobig F caused an extensive damage of $3 billion – $4 billion leaving infections in over 2 million PCs worldwide. Back in 2000, one of the trickiest computer malware ever was detected on May 4 in Philippines. Around 10% of the internet users committed a huge mistake by going on the name of this hazardous worm. The virus played on a radical human emotion of the need to be loved because of which it became a global pandemic in only one night. The bug was transmitted via e-mail having a subject line “ILOVEYOU” – a notion appealing to many of us with an attached file to it which reads as – Love-Letter-For-You.TXT.vbs. As soon as the file was opened, the virus took the liberty of e-mailing itself to the first 50 contacts present in the Windows address book and also infected the multimedia files saved in the system causing damages that amounted to $5.5 billion. My Doom explored its way to the malware world on 26th January 2004 and sent a shockwave around the world as it scattered exponentially via e-mail with random senders’ addresses and subject lines. My Doom also known as “Novarg” is reported to be the most dangerous virus ever released, breaking the previous record set by the Sobig F worm. My Doom swiftly infected some two million computers and instigated a huge denial of service attack which smashed the cyber world for sometime. It transmitted itself in a particularly deceitful manner through e-mail as what receiver would first reckon to be a bounced error message as it reads “Mail Transaction Failed.” But, as soon as the message is clicked upon, the attachment is executed and the worm is transferred to e-mail addresses found in user’s address book. The damage caused by this fastest-spreading mass mailer worm was a whopping $38 billion.